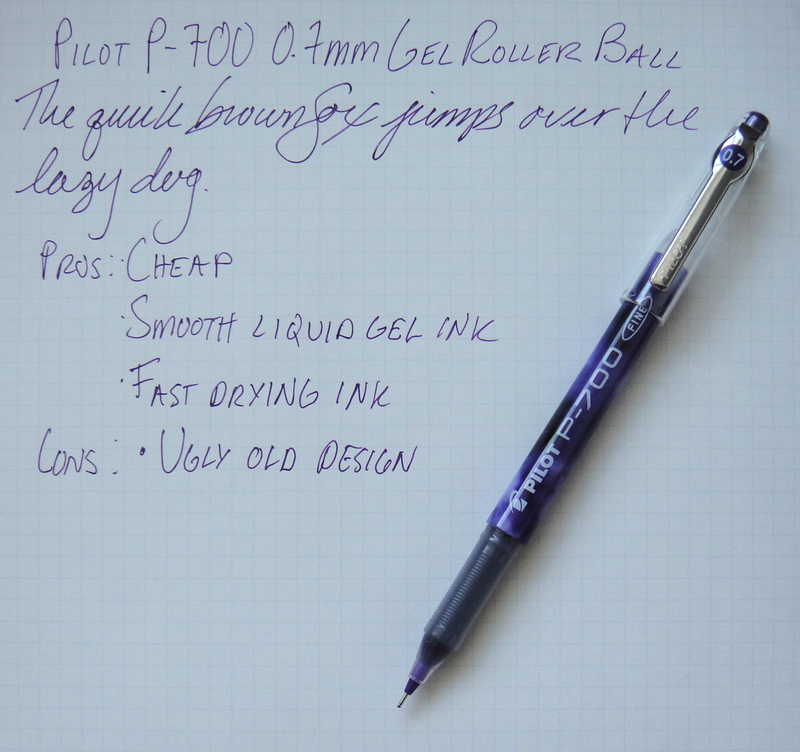 The Pilot Precise P-700 has been one of my favorite hybrid gel roller balls for quite a while now. The benefit of a hybrid gel roller ball is a smooth writing experience with a low resistance liquid ink, making it a great pen for writing in cursive. The line is clean and smooth and the ink is ultra fast drying making it a great pen for lefties. The ink is permanent and unfortunately the pen is not refillable. The Precise is an old pen and to my knowledge the design has never been updated and as a result it doesn’t really look like many other pens on the market. The body has a marbled appearance that to me looks like clouds. The ribbed grip is comfortable but not soft. I haven’t been a fan of the looks of this pen in the past and my opinion hasn’t changed; it’s ugly. The Pilot Precise comes in two widths 0.7mm (P-700) and 0.5mm (P-500) and five colors, black, blue, red, green, and purple. At $2.42 it’s quite affordable and if the looks don’t bother you I highly recommend it.